Authorities in the D.C. region have made plans to help those who can't keep warm. 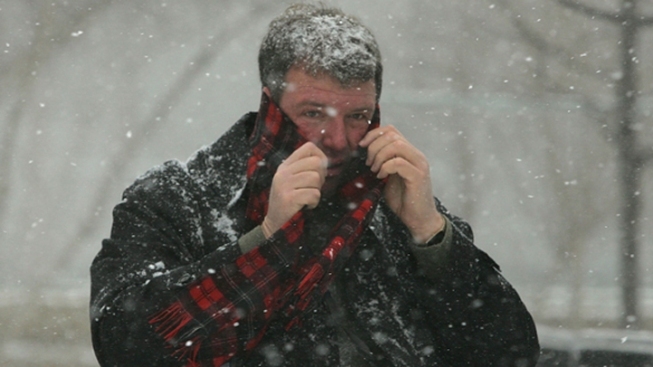 People stuck in the cold during Wednesday's snowstorm don't have to stay that way. For those without shelter in D.C., the city runs a Hypothermia Shelter Hotline, where they can be connected to emergency shelters, and receive blankets, gloves and jackets. The number: (202) 399-7093. The program is run by the city's Department of Human Services, which corrals resources from a range of D.C. agencies, businesses and community groups. For more information about what's available, call 1-800-535-7252. Maryland's Charles County opened a warming center on Wednesday. The facility, at the Capital Clubhouse at 3033 Waldorf Market Place in Waldorf, is open until 9 p.m.
Those hours were subject to change depending on weather conditions, authorities said. More storm-related information for Charles County residents is available at the county's website and Facebook page and on CCGTV (Verizon channel 10 and Comcast channel 95). To get automated messages sent to your phone, go to www.CharlesCountyCNS.com.